One of the hassles of the Nintendo Switch is that you can't very well charge it in tabletop mode, as the USB-C port is flush on the bottom of the unit. Come to think of it, that flimsy kickstand is pretty worthless too. 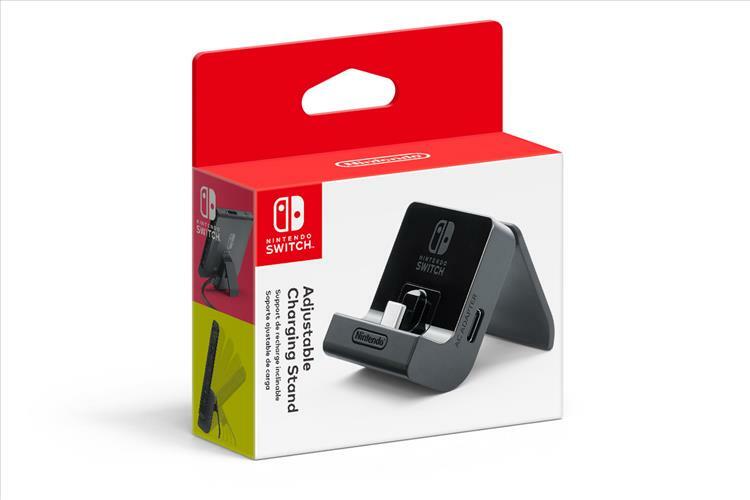 Nintendo is hoping to alleviate both issues with a new Adjustable Charging Stand, announced today on their Twitter page. The stand is compatible with the USB-C power brick that comes with the Switch, and allows you to play in tabletop mode from a number of viewing angles. This dock will run you about $19.99 and will come out in July. Of course, several third party solutions have already solved these problems, some with a simple, inexpensive plastic stand that fixes both issues in one go. But I guess Nintendo is better late than never with this product.